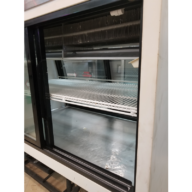 HUDLR4852 - USED STRUCTURAL CONCEPTS COMBINATION GRAB N GO DISPLAY CASE INCLUDES FREE SHIPPING - Delray Food Service Equipment & Reconditioning Inc.
View cart “HUDLR4852 — USED STRUCTURAL CONCEPTS COMBINATION GRAB N GO DISPLAY CASE INCLUDES FREE SHIPPING” has been added to your cart. Includes free shipping to a commercial address. There will be additional charges for lift gate service or to deliver to a residential address. WE WILL MAKE A WORKING VIDEO OF YOUR UNIT, TO SHOW PROOF IT IS WORKING PROPERLY, AND EMAIL IT TO YOU PRIOR TO YOUR MERCHANDISE SHIPPING OUT. The merchandise is thoroughly cleaned, and ready to be operated when it arrives. 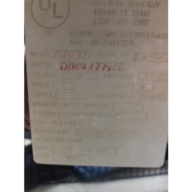 Delray Food Service Equipment & Reconditioning Inc.